I was approached a while ago by a lady that came into the gallery whose father was in the process of opening a new high class Inn and restaurant in Cheshire. Some three years later she appeared again with her father in the gallery and asked me if I would paint the Inn sign and a number of original paintings and a range of Limited Edition prints for the inside of the Inn. This is the first of a selection of cattle that I was commissioned to do. 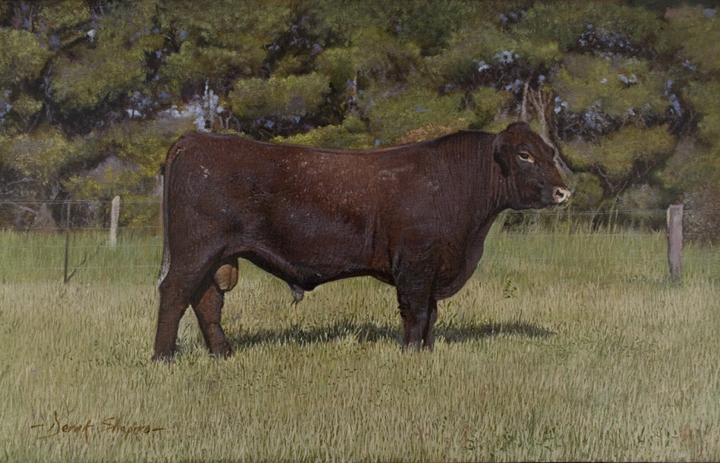 Paintings of an Angus Bull, Red Poll Bull and a Galloway Bull will be posted at a later date. A truly iconic species and claimed to be the fastest bird on earth.The Peregrine Falcon has been recorded with stoop speeds of over 200 miles per hour! Painted for a client who has had a number of paintings off me. Brian, who over the years has become a good friend, dug the lake out in this painting and has recently stocked it with various types of fish. Commissions welcome,any subject :: to contact me, please click here. Commissioned portrait of a child girl. Commissioned by a client who collects miniature paintings. Paintings classed as miniatures should measure no more than 4.50 in x 6 in including the frame. 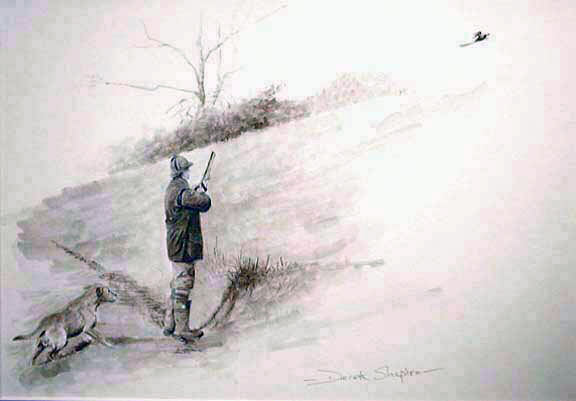 Study in watercolour, worked up in sepia, from a sketch out in the field.Number six of a series of shooting studies. 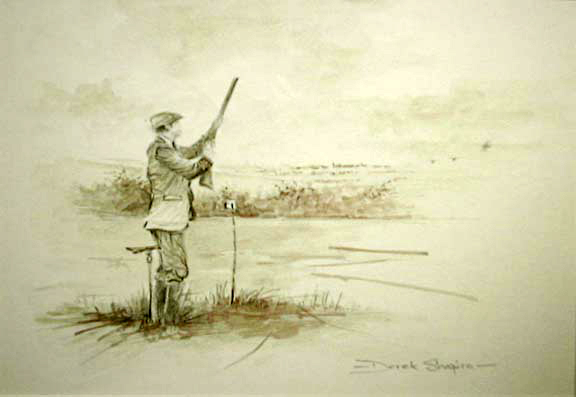 Study in watercolour, worked up in sepia, from a sketch out in the field. Number five of a series of shooting studies.